Charles Wilmore is a trial lawyer helping domestic and foreign businesses facing claims and disputes involving energy, toxic torts, environmental, maritime, construction, insurance coverage and other complex litigation. His toxic tort and environmental practice includes occupational disease, personal injury, mass tort, class actions, property damage and regulatory litigation. In a high-stakes mass toxic tort case, Charles was one of two trial lawyers for the team defending a major international joint venture facing over a thousand claims following a chemical release in a densely populated area. The defense succeeded in removing the case to federal court, arguing application of the Class Action Fairness Act, a federal statute that expanded federal diversity jurisdiction over class actions. The trial result: zero verdict for the defense. In another recent mass tort case, Charles was a primary trial lawyer representing an international company in a multi-week trial at Civil District Court for the Parish of Orleans. Thousands of plaintiffs claimed personal injury as a result of alleged chemical exposure in an urban area. Through the use of expert witnesses and effective cross-examinations of the plaintiffs’ witnesses, the trial team was able to illuminate the actual facts of the matter. The trial result: zero verdict for the defense. Maritime interests seek Charles' help for primarily near-shore and offshore litigation involving Jones Act matters, exposure to spills, personal injury and property damage claims. Charles’ insurance coverage work spans the areas of litigation in which he practices. "In the insurance and indemnity context, my goal is to secure coverage for my client," he notes, "and so I look at the underlying claim and identify the contractual responsibilities of the parties." 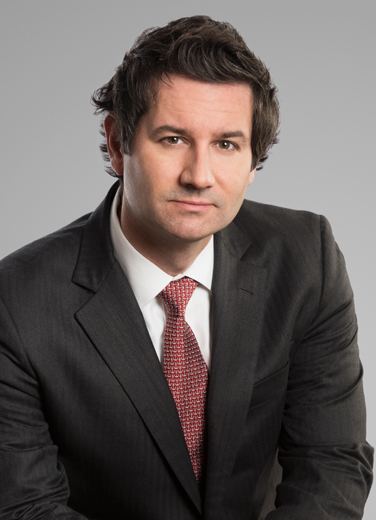 In addition, he handles construction litigation and insurance coverage issues associated with traditional commercial disputes and natural disasters, such as hurricanes and other one-off events. Charles has presented to industry groups and for the purposes of providing continuing legal education. His presentation topics include ethics, incident investigations, insurance coverage, marine insurance, and contractual defense and indemnity. Charles is an accomplished international outdoorsman and fisherman ­and an ardent conservationist. His travels have led him from the tidal marshes of Louisiana to the turquoise flats of Belize to the high grass of much of Southern Africa.